There are simple things in life that have the power of lighting up our day – like arriving home and finding a package or your favorite magazine waiting for you in the mailbox. I love that. Zest the limes directly into a food processor or blender. Add the sugar and lime juice and blend until the sugar is dissolved. Blend in the milk and heavy cream. ohh look at those amazing ripples!! I m drooling . looks so creamy and yummy. O that looks fantastic Patricia. How did you make the zest from the lime looking so perfect? Do you use a special tool for that or just an average grater? It looks different! I bet it's super refreshing. That looks great! I really want an ice cream maker now...and that book, too! I agree, I get so excited when I see a new Donna Hay in my mailbox (yes, I pay a ridiculous price to get in the US, but it's one of my treats to myself). 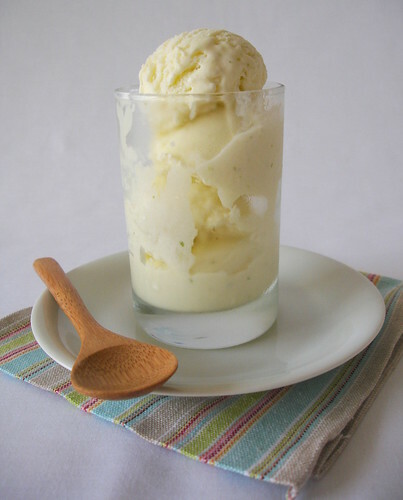 I haven't made a lime ice cream yet, this one sounds wonderful! Looks delicious Patricia and they are beautiful pictures too! Oh that looks perfect for the hot summer weather we have here now! Fantastic photos! I'm bookmarking and saving this recipe for summer, when lemon ice cream always tastes so great with fruit salad. Lime will be even better! I love the super lemon. Super lime sounds heavenly! I loooove this book, I know you will too! wow - thats some good looking icecream. looking forward to more icecream from your blog! Lime and cream are such a perfect duo! You get a nice tartness from the citrus and a perfect sweetness to mellow out the tang from the cream. So glad your Ice Cream Bible arrived! Can't wait to try this one. Yum looks fantastic! 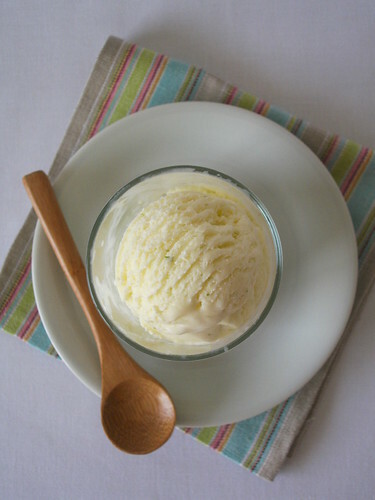 I love citrus ice creams and will have to make this one for sure! That's a great book, can't blame you for getting on with such a super recipe! mmm ice cream!! Lime too!! 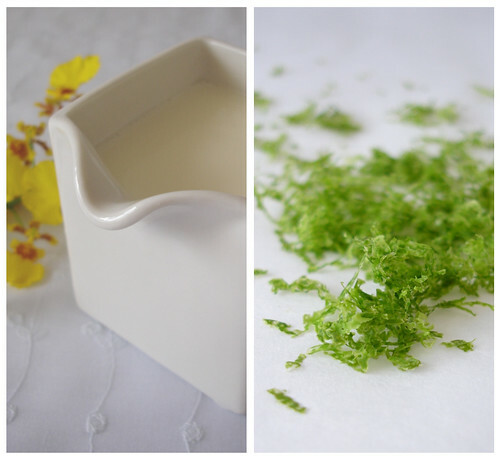 I'm in love with all things lime at the moment! Oooh, so refreshing and fantastic! I really love citrus ice creams and lime is one of my favorite flavors. I love the shot of your curly lime zest! Mleanie, tks for stopping by! Anna, that book is amazing! Lydia, I hope you like it! Arundathi, thank you! There will be more, for sure! Elyse, I hope you try it, it's really good. yum--citrus ice cream is so refreshing! I gotta get that book. Your pictures are appetizing by the way. Thanks for the free recipe. I love lime ... I love ice cream. I already love that ice cream and I have not made it yet! How yummy! That looks good. I like that you can see the flecks of green.